“We are pleased with our extended pool of 12 assessors. Identifying assessors with the optimal qualifications to successfully conduct assessments of member companies is essential to the credibility of GNI’s assessment process,” said Judith Lichtenberg, GNI Executive Director. With exceptional experience advocating for rights-respecting Internet laws and policies, the participation of AfroLeadership, CIPESA, Derechos Digitales, Digital Empowerment Foundation, IPANDETEC, and SFLC.In creates new opportunities for GNI policy and learning activities. GNI outlined the relevant provisions of the GNI Principles and Implementation Guidelines that address privacy and suggested they may serve as models for the “principles, standards and best practices” that the Office of the High Commissioner is seeking to develop. The Global Network Initiative seeks applications for the 2018 Google Policy Fellowship program. The Google Policy Fellowship program offers undergraduate, graduate, and law students interested in Internet and technology policy the opportunity to spend the summer contributing to the public dialogue on these issues, and exploring future academic and professional interests. 2017 GNI Annual Public Learning Forum, June 21 in Washington, D.C. The CLFR is a detailed set of resources for academics, rights advocates and others that explores the legal environment affecting freedom of expression and privacy in jurisdictions around the world. These additions bring the total number of countries included in the project to 50. GNI led sessions on the economic costs of network and communications disruptions and shutdowns, shifting trends in country legal frameworks affecting companies’ abilities to respect rights in their operations, and GNI's multi-stakeholder approaches to advancing privacy and freedom of expression in the ICT sector. In accordance with GNI’s Governance Charter, and following extensive deliberations and consultations, GNI is pleased to publish updates we have made to the GNI Principles for Freedom of Expression and Privacy and the Implementation Guidelines. “The shutdown in Cameroon appears to be calculated to target political speech,” said Mark Stephens, CBE., Independent Board Chair. The Global Network Initiative is deeply concerned that LinkedIn has been blocked in Russia. The blocking order from the Russian regulator was put into effect today. GNI Director of Communications Kath Cummins called on governments to recognize the challenges shutdowns pose for economic development, rather than viewing shutdowns solely through a security lens. GNI is concerned by reports showing the Ethiopian Government blocked Internet access amid escalating anti-government protests. The Global Network Initiative is alarmed by yet another order by a Brazilian judge to block the WhatsApp messaging service across the entire country. The coalition, which consisted of civil society groups, companies, and trade associations, urges the U.S. Senate to oppose a provision in the Intelligence Authorization Act for FY 2017 (Act, S. 3017). Read more for the full letter. Panel topics include combatting terrorism online, intermediary liability, online hate speech, and human rights based approaches to cybersecurity. GNI calls on the Turkish government to respect their international human rights commitments. The GNI is alarmed by reports that the government of Uganda has ordered mobile operators to block access to social media platforms and mobile money services during its presidential election. Encryption and anonymity are foundations for freedom of expression and privacy around the world. "Governments have a responsibility to protect people and their privacy. We believe a legal framework can protect both.” Read more to find the full submission. Along with the Stanford Center for Internet and Society, GNI explored topical subjects in privacy and digital free expression. Our four panel sessions covered extremist content on the web, reform of the legal frameworks for cross-border data exchanges, the first-ever Ranking Digital Rights Report by Rebecca Mackinnon, and the impacts of the EU Court of Justice Ruling that declared the Safe Harbour Agreement Invalid.  The Global Network Initiative (GNI) seeks energetic and engaged interns for the academic semester and summer in its Washington, DC office. Internships are open to graduate and undergraduate students in all majors. Applications will be reviewed on a rolling basis. A report presented to the October 2015 Amsterdam Privacy Conference has called on telco and Internet companies facing surveillance by governments to adopt the Global Network Initiative’s international standards-based best practices for the ICT sector. Jodie brings to GNI her experience with the think tank Demos, and her distinguished journalistic career, including as a long-time foreign correspondent and a former Reuters Bureau Chief in London. K.S. is one of the founders of Open Net Korea, a forum for discussion and collaboration on ICT freedoms and human rights. "Change.org is a powerful global force for social good, and we look forward to what we can accomplish together,” said GNI Executive Director Judith Lichtenberg. At the State Department Internet Freedom Technology Showcase held in New York on Sept 26, 2015, Ambassador Power urged internet companies "to embrace the UN Guiding Principles on Business and Human Rights, to join the Global Network Initiative." GNI was among the 31 civil society groups that successfully spoke out against section 603, which would have created a sweeping requirement for internet companies to report on their users. The Global Network Initiative (GNI) joined human rights and civil liberties organizations and trade associations to convey its concerns with a provision in the Intelligence Authorization Act for Fiscal Year 2016 (S. 1705) in a coalition letter to Senate. GNI presents its 2014 Annual Report, which describes the initiative's work on behalf of freedom of expression and privacy in the ICT sector during the past year. GNI welcomes the report to the Human Rights Council by David Kaye, UN Special Rapporteur for freedom of expression, on encryption, anonymity and digital communications. The Global Network Initiative applauds the passage of the USA FREEDOM Act, a critical first step toward reforming surveillance practices that will help to protect freedom of expression and privacy rights. GNI is pleased to welcome Tatevik Sargsyan as its 2015 Google Policy Fellow. GNI is pleased to announce that Judith Lichtenberg has been appointed as our new Executive Director. In 2014, GNI undertook a strategic review of the initiative’s progress toward creating a standard to protect and advance freedom of expression and privacy across the ICT sector. At RightsCon Southeast Asia, GNI participants showcased the initiative’s approach to free expression and privacy. GNI has joined with a wide range of privacy and human rights advocates, technology companies, and trade associations to agree on key elements of U.S surveillance reform. The Global Network Initiative seeks applications for the 2015 Google Policy Fellowship program. GNI urges the Government of Azerbaijan to drop the criminal investigation of Emin Huseynov, director of GNI civil society member the Institute for Reporters’ Freedom and Safety. Join us on January 28 for the launch of a new report commissioned by GNI to address the growing demand from law enforcement agents for access to data subject to another country’s jurisdiction. The Global Network Initiative is pleased to announce that Deloitte Statsautoriseret Revisionspartnerselskab, the Denmark member firm of Deloitte Touche Tohmatsu Limited, has become an accredited GNI assessor. Applications will be accepted from November 21, 2014 until January 9, 2015 from organizations interested in becoming accredited assessors for the Global Network Initiative. The Global Network Initiative and the Telecommunications Industry Dialogue on Freedom of Expression and Privacy present 2014 learning forums on Transparency and Human Rights in the Digital Age in Mountain View, California and Geneva, Switzerland. The Global Network Initiative joined a coalition letter signed by members of Congress, former government officials, civil society organizations and companies to urge the Obama Administration to reform surveillance practices under Executive Order 12333. The Global Network Initiative is pleased to welcome its newest member, the Center for Business and Human Rights at New York University Stern School of Business. “With her unique combination of tact and tenacity, Susan has made invaluable contributions throughout her time at GNI,” said GNI Independent Chair Mark Stephens. The Global Network Initiative and the Internet and Mobile Association of India are working together to explain how India’s Internet and technology laws holding back economic innovation and freedom of expression. We urge reconsideration of the fast-track timeline of the Data Retention and Investigatory Powers (DRIP) Bill to provide adequate opportunity for Parliamentary scrutiny and public debate. The Global Network Initiative is alarmed by the widespread blocking of websites and social media amid the crisis in Iraq. GNI urges the U.S. Senate to address serious shortcomings in the version of the USA FREEDOM Act passed by the House. The Global Network Initiative is pleased to welcome our first Google Policy Fellow, James Losey. The Global Network Initiative today released its 2013 Annual Report, charting the initiative’s progress protecting free expression and privacy in the ICT sector. GNI welcomes the adoption of a series of recommendations by the Freedom Online Coalition. The Global Network Initiative urges Russian President Vladimir Putin to veto legislation that would restrict free expression and privacy rights online. The Global Network Initiative urges Turkey to restore full access to Twitter and YouTube, and ensure access to communications and the free flow of information, particularly in advance of local elections on March 30. The Global Network Initiative is pleased to announce that LinkedIn, the world’s largest professional network on the Internet with approximately 277 million members worldwide, is the latest company to join GNI. The Global Network Initiative (GNI) today announced the election of Mark Stephens as Independent Chair of its Board of Directors. GNI is deeply concerned by Prime Minister Erdogon's threats to block Facebook and YouTube in Turkey, as well as reports that the Russian government is blocking webpages of Ukrainian dissidents and interfering with mobile networks in Crimea. The Global Network Initiative is deeply alarmed by reports that the UK intelligence agency, GCHQ, has intercepted millions of Yahoo! webcam images. The Global Network Initiative will host a roundtable at RightsCon in San Francisco, entitled “Toward Accountability: Reflecting on ICT Industry Action To Protect User Rights.” on Tuesday March 4, 4-5pm. Susan Morgan hosts a Google Big Tent Hangout discussing the UK draft Communications Data Bill, featuring Lord Paul Strasburger, member of the Parliamentary Scrutiny Committee, and Jamie Bartlett from Demos. Read the GNI statement on the report of the UK Joint Committee on the Draft Communications Data Bill. Event: The Communications Data Bill: ‘Snoopers’ charter’, or safeguarding our security? The Global Network Initiative is pleased to announce that the three core documents that describe the Initiative’s objectives and the key commitments of the participants have been translated into Arabic, Chinese, French, Spanish, and Russian. Translations of the GNI Principles, Implementation Guidelines, and Governance, Accountability, and Learning Framework are available in PDF format on our website. Yahoo! VP and Deputy General Counsel Michael Samway appeared on The Communicators to discuss human rights challenges facing information and communications companies and the role of GNI in meeting those challenges.